Happy Holidays Pack Moms! Our little elves have been working hard to bring the savings to you this season! We’ve partnered with some of our favorite companies to offer you 12 Days of DEALS! 1. Deals are online only. Shop to you drop with our favorite companies! 2. Deals have a deadline. Some are good for 24 hours only and others last longer. 3. Like us on Facebook. This is how you will obtain the promotion codes to use upon check out with each company. 4. 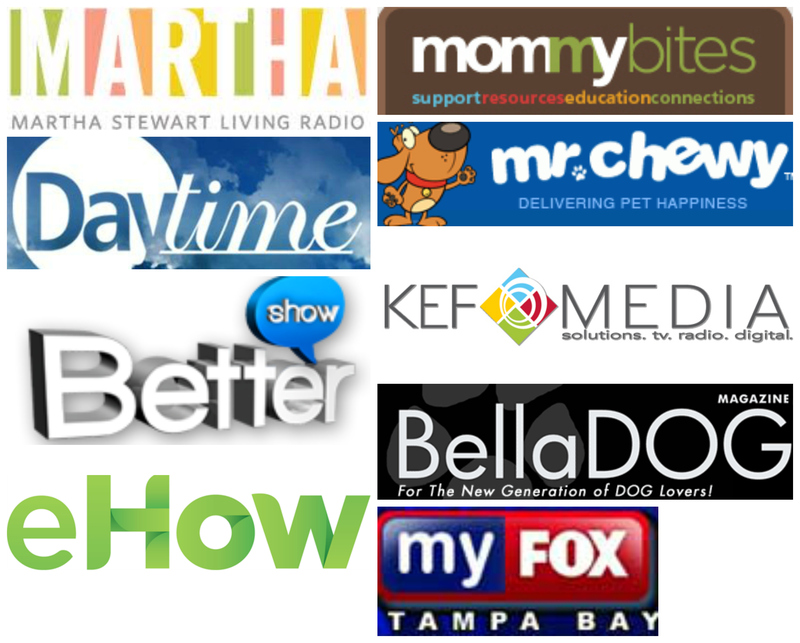 Questions- for general promotional questions, simply email Pack Mom at info@pack-mom.com. For specific questions regarding products, shipping, refunds, etc. you must contact the company you are buying from directly! 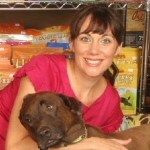 December 12, Day One– Molly Mutt, maker of eco friendly doggy and kitty duvet covers. Trust me Pack Mom’s, these fabrics are gorgeous and always at great prices! Molly Mutt Deal: 50% off of the Santa Baby Duvet cover. Offer valid for 24 hours only! 12am-11:59pm Visit our facebook page tonight for the deal code! December 13, Day Two- Planet Dog, maker of some of the most tough and most fun dog toys on the planet! Our dogs say four paws up! Planet Dog Deal: 20% off your Planet Dog purchase! Offer valid for 24 hours only! 12am-11:59pm Visit our facebook page on December 12 after 9pm EST for the deal code! December 14, Day Three- Panache Confections, maker of the most delicious chocolate creations (for people of course). We give Panache chocolate to our customers throughout the holidays and they are always a HIT! December 15, Day Four– Your Dog’s Diner, maker of Mutt Meatballs and Mutt Soup. Jump on the “make your own pet treats train” with us! Nutritious and delicious snacks your dog will drool over! Your Dog’s Diner Deal: 50% off your order. Offer valid for 24 hours only! Visit our facebook page on December 14 after 9pm EST for the deal code! December 16, Day Five– Lucky Paws, maker of organic, microwaveable PetCakes. No baking necessary! Ready in three minutes! December 17, Day Six- Pack Mom’s “Favorite Things” Giveaway. We are packing up seven of our favorite things, boxing them up and shipping them to one lucky winner! Click here for details. Pack Mom’s Giveaway Includes: One portable water bowl from H2Fido, One Twinkle Bone from Planet Dog, One bag of Mutt Soup from Your Dog’s Diner, One Bag of Bones from Loopies Toys, One Pet Milk from MilkOPet, Two gourmet cookies from Pawsitively Gourmet an One bag of treats from K9Granola Factory. Click here to learn how to register! December 18, Day Seven- Modgy, maker of H2Fido, the portable pooch water system! Pack Moms are using this travel bowl around the country. It is so convenient and stylish! December 19, Day Eight- Katie’s Bumpers, maker of eco friendly firehose dog toys, has a beautifully written book called “In the Company of Newfies”. The company was named after Katie, a Newfoundland, and the book was written by her mom, Rhoda. This is a wonderful book for dog owners of ANY breed. If your pet is your soulmate, this is the book for you! December 20, Day Nine- Teddy the Dog, maker of dog inspired apparel and accessories for people. The styles are fun and humorous and the colors are great too. I probably have too many Teddy the Dog t-shirts myself! Teddy the Dog Deal: Spend $50 and get 20% off your order, Promo Code: PACKMOM OR spend $100 and get a free $25 gift certificate with your order. Promo Code: PACKMOM2. Offer valid through January 31, 2013. December 21, Day Ten- Kiss My Mutt, maker of posh pet products including braided collars and leashes, bedding, bandanas and apparel. Little do our dogs know, but a new KMM collar will be under the tree for both of them this year. Kiss My Mutt Deal: 20% off your purchase. Offer valid for 48 hours. 12am on December 21- 11:59pm on December 22. 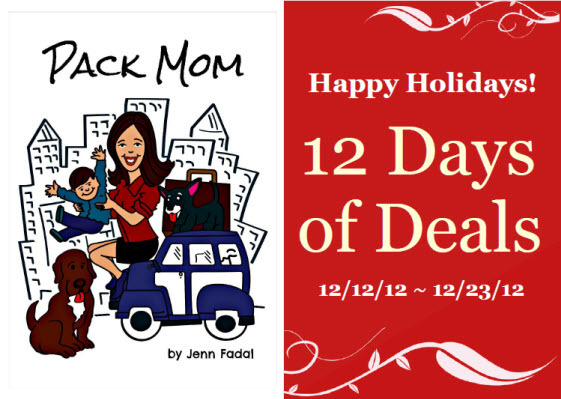 December 22-23, Days Eleven & Twelve – Pack Mom t-shirt GIVEAWAY. We launched our site in September of this year and had our shirts printed then too. We have been wearing them everywhere, have other Pack Moms showing them off and so many Moms want one!